New design automatic Clean and Charge station, it cleans, charges and lubricates at the touch of a button. 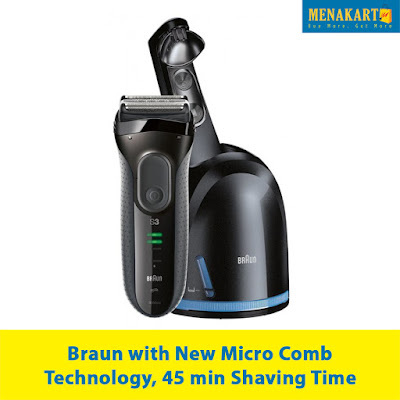 Braun Series 5 is a men foil shaver which is equipped with a unique combination of power and precision for uncompromising performance without sacrificing on skin comfort. 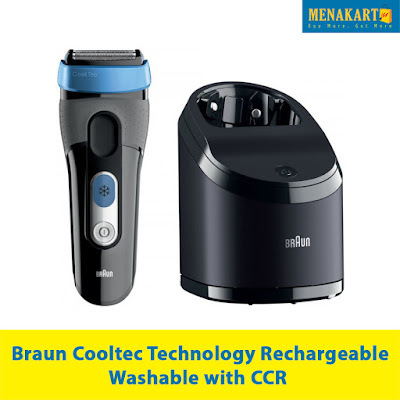 While the FlexMotionTec delivers significantly more skin contact in problem areas for efficient shaving with less skin pressure, the PowerDrive supplies 20% more motor power than before, for high speed cutting even on dense hair. 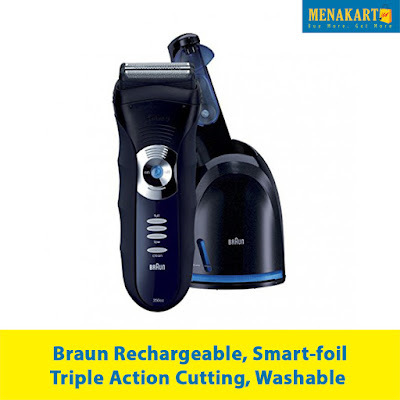 All Series 5 shavers are made in Germany and combine advanced technology with world-famous Braun design and highest Braun quality standards. 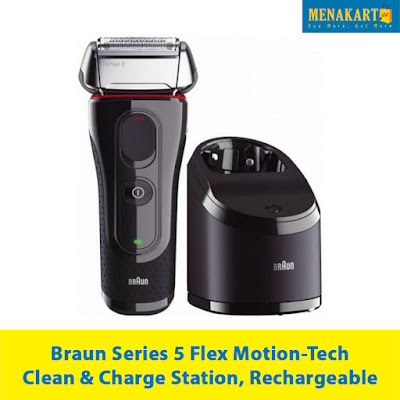 On top, the Braun 5070cc provides you with the convenience of the world's only three-action alcohol-based Clean&Charge Station, it cleans, charges and lubricates at the touch of a button--so your shaver feels like new every day.